The thieves cut a hole into the ceiling of the store, rappelled down and stole iPhones, iPads and MacBooks, among other Apple electronic devices. Apple could become the first American company with a trillion dollar valuation. Thanks to the popularity of its costly products, the Cupertino-based giant is now worth about $945 billion. For the fiscal 2018 second quarter that ended on March 31, it posted revenue of $61.1 billion, an increase of 16 percent from the year-ago quarter. But there is another side to the costly products -- they attract thieves like magnets. 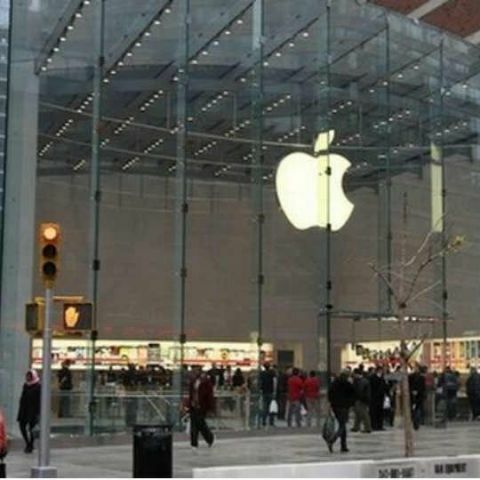 In an incident in the US, robbers stole Apple products worth over $100,000 from a Best Buy retail store. According to a report in CNET, the theft took place in Dunwoody city in Georgia where thieves carved out a hole in the roof of a Best Buy store, rappelled down, broke into the storage area where the Apple products were kept and stole them -- just like it is seen in Hollywood movies. The Dunwoody police department confirmed the details to CNET. Police spokesperson Robert Parsons compared the crime to a movie heist. “Someone that comes in, it's a 'Mission Impossible' style burglary,” Parsons was quoted as saying. He said the burglars stole thousands in iPhones, iPads, MacBooks and more and are still absconding. This is not the first time that Apple has lost so many products in thievery. Last year, a group of robbers invented a way to get iPhone X without getting into a line. They stole more than 300 iPhone X phones worth over $370,000 before the devices were put in the store. Three people stole the smartphones from a UPS truck parked outside an Apple Store in San Francisco.